1 A Portuguese fighter jet, left, and a Canadian fighter jet participating in NATO's Baltic Air Policing Mission operate in Lithuanian airspace. 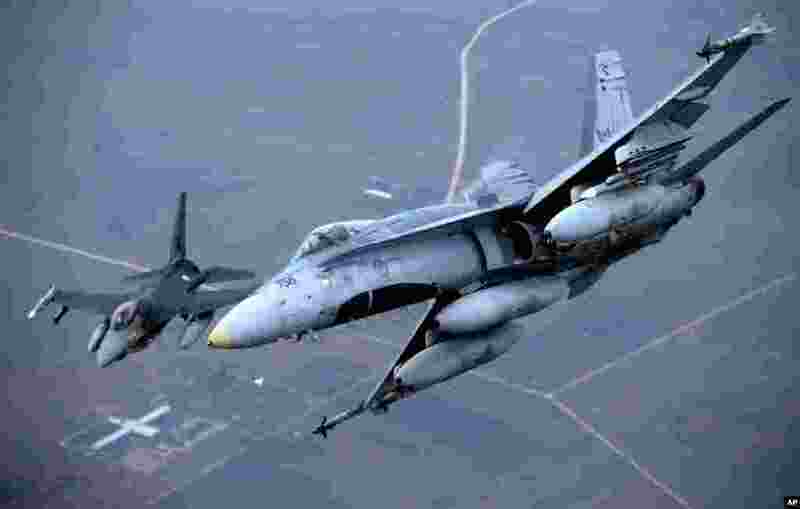 NATO, which has 16 fighter jets in the region monitoring Baltic airspace, said it regularly launches jets to identify "unknown or potentially hostile aircraft" in the proximity of national airspace. 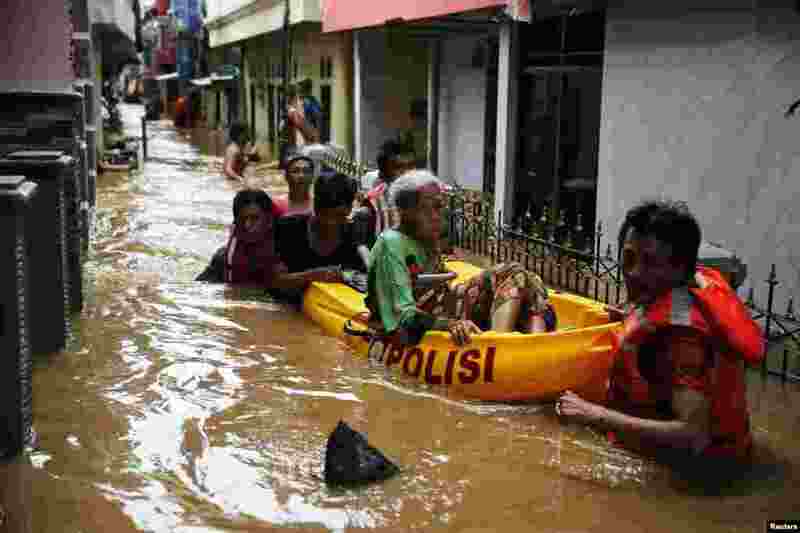 2 Volunteers use a paddle raft to move an elderly woman to a safe place at Jatinegara district in Jakarta, Indonesia. Heavy rain caused flooding in some parts of the capital. 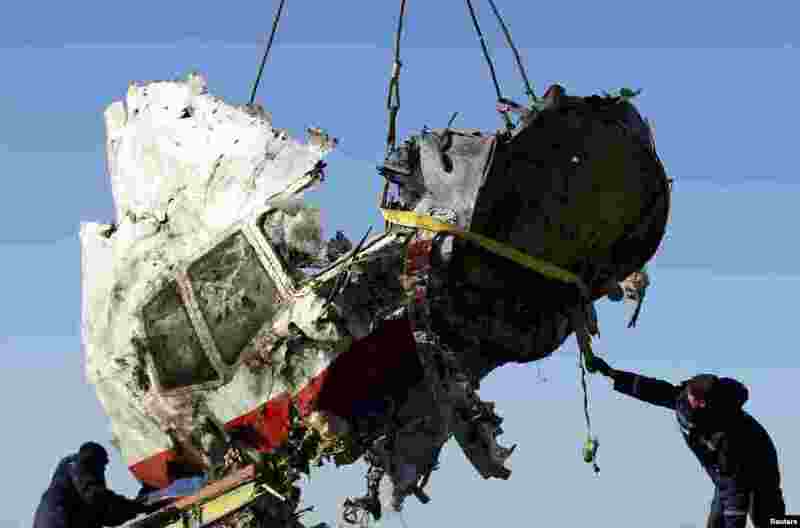 3 Local workers transport a piece of the Malaysia Airlines flight MH17 wreckage at the site of the plane crash near the village of Hrabove (Grabovo) in Donetsk region, eastern Ukraine. 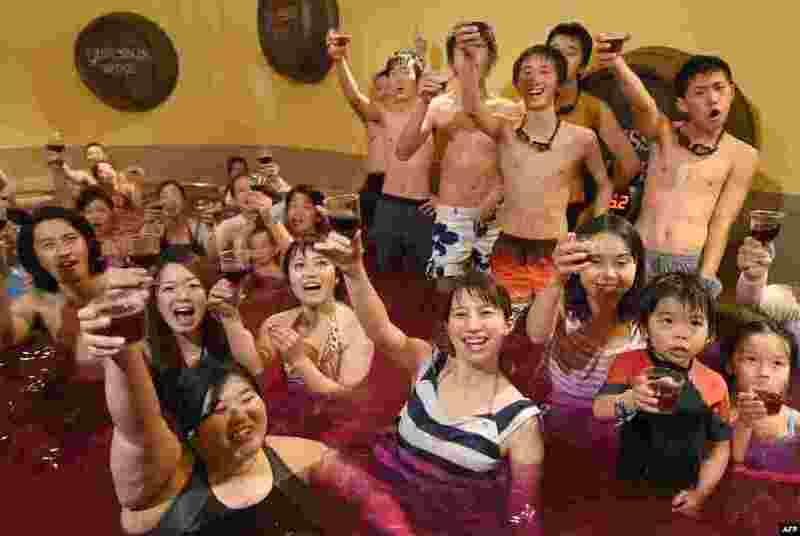 4 Bathers raise their glasses, containing 2014 vintage Beaujolais Nouveau wine, at a "wine spa" in Hakone town, Kanagawa prefecture, some 100 kilometers west of Tokyo after an embargo on the wine was removed.